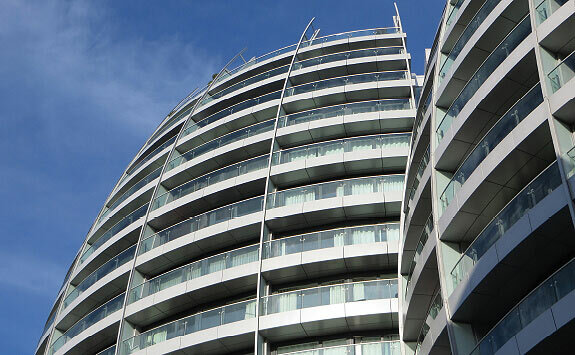 Our experience will help guide you through the involved process of letting and managing your London property. We offer tailor-made services to meet your individual needs. If you manage your own rental property, you'll know there are always problems to sort out – the heating not working, general property maintenance, bills to pay… and if you own more than one property, or live overseas, the problem is multiplied. But there is a much easier way: our full property management service. A dedicated property manager will take complete care of your property. If your property is brand new, we can arrange a snagging and handover service. For existing properties, we can arrange professional cleaning, refurbishment, repairs, decoration and provide furnishing packages. All tenancy deposits are registered with The Deposit Scheme by us and are protected in accordance with current legislation. Our management department is led by a Director who is a qualified lawyer. We understand governance, ensuring compliance with all legislation. We will ensure safety certificates are up-to-date and obtain licences from managing agents if necessary. We will arrange the check-in using an independent company to complete an inventory and schedule of condition. We’ll take of the necessary administration. By keeping tabs on the physical state of your property, we can anticipate any issues before they become more serious problems. We can undertake routine repairs should any problems occur and we will mediate with tenants to keep things running smoothly. Our extensive experience in maintaining properties across London ensures we have constant access to a wide selection of trusted contractors. These established professionals carry out high quality repairs and ensure total peace of mind for landlords and tenants alike. We appreciate that many problems occur at the most inconvenient times that’s why we provide a round-the-clock response service that covers electrical, plumbing and security emergencies. We strongly feel that dealing promptly with out of hours issues ensures tenant loyalty. We provide a free, secure key holding service to all of our clients whether the property is managed by us or not. We will arrange rent collection and get payments to you by your rent due date. If your tenant has not paid their rent on time, we have an in-house finance team who ensure things get back to normal as quickly as possible. Arranging transfer and paying of utility bills and service charges. Payment of ground rent where applicable is also part of our remit. For landlords with multiple-managed properties, we issue a performance report each month conveniently showing all their properties together. We will carry out a full check-out inventory so the deposit can be returned to the tenant. If there is a dispute over any dilapidations, we will liaise between landlord and tenant to achieve an amicable solution. If your rental property is vacant, security can be a concern. We will visit your property regularly, arrange maintenance and repairs, deal with any emergencies and handle administration such as paying bills and arranging cleaning and decorating. Our online and offline marketing strategies are designed to attract interest from tenants on a 24 hour basis. They include a comprehensive website, print advertising in relevant publications, eye-catching signboard advertising and a regular presence, regular e-newsletters and listings on leading property portals. By law all landlords require an Energy Performance Certificate for their property. We can help take the hassle out of the assessment and application process. Viewings of your property by prospective tenants should be smooth and unobtrusive. We can schedule appointments effectively and keep disruption to the minimum. The proper screening of prospective tenants is vital. We will follow up all personal and financial references provided. A professionally drawn up tenancy agreement is a vital part of any rental transaction we undertake as this will include all the relevant provisions and fully updated legislation. We will negotiate any renewal of the tenancy agreement and prepare any additional documentation. The more properties you have, the more complex your rent collection schedule will be. Our expert accounts team deal with all financial aspects of property management and will be able to collect and forward all rents and deposits for multiple properties. Rental arrears in London run into the tens of millions and it’s our mission to make sure that our clients are not part of that statistic. A situation that involves chasing rent arrears may involve disputes, therefore it’s easier to allow us to manage the process when it comes to chasing down monies owed. A single point of contact for your property and complete peace of mind.